Needless to say, every big day takes preparation by many people. 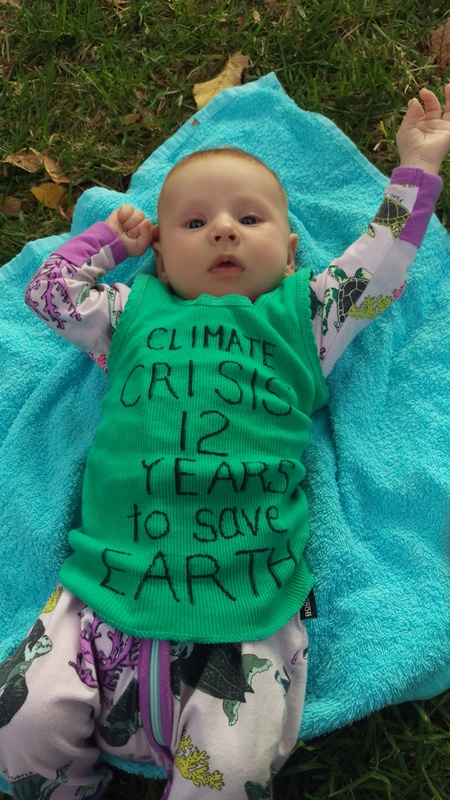 I can’t completely imagine the preparation that has gone into the thousands of people who have joined the Extinction Rebellion and converged on London, blockading streets and bridges in an effort to compel their government to act on climate change and ecological breakdown. In our relatively little place, though, I can say some of what’s been happening behind the scenes. 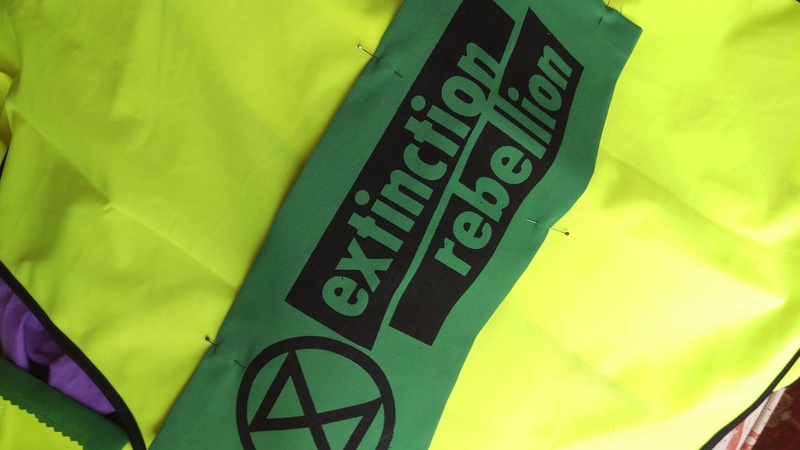 As high vis vests continue to trickle in, (for marshals to use in keeping people safe on the streets or when doing banner drops) and patches emerge from the screen printing (and stitching) rebel, I’ve been stitching them on to keep our collection growing. 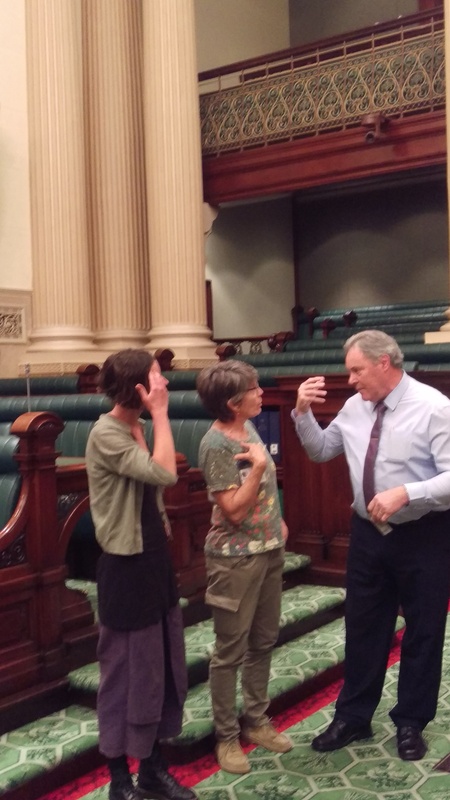 Then there was doing a quiet recce at parliament house, where I can highly recommend the tour. It is informative and there are some beautiful things to be seen as well as some evidence of the corruption that featured in the colonial period to be heard of! Above, some of the suffragists responsible for our state granting women the right to vote (after Aotearoa/New Zealand led the way) as well as the right to stand for parliament (included in the Bill as an amendment, expected to sink the Bill and defeat the suffrage–there has to be comeuppance sometimes!) 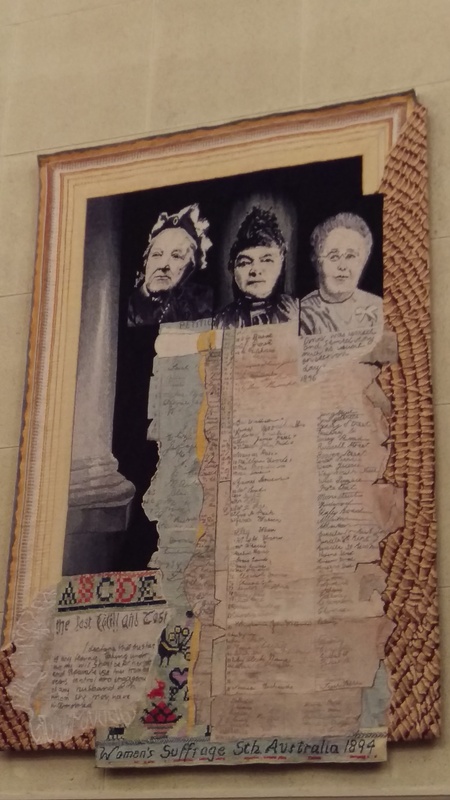 The women’s suffrage centenary tapestries in the lower house of parliament were woven by local weavers as a community arts project and there are many members of my Guild listed as weavers. 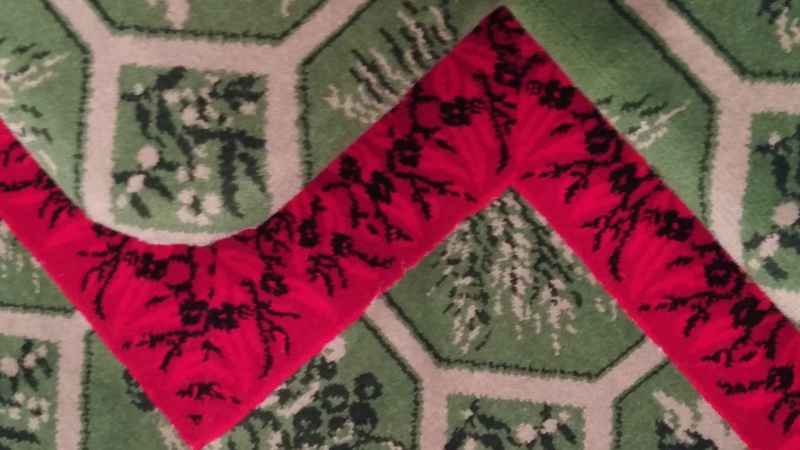 Here, the red line in the carpet over which a white gentleman (Indigenous people not even recognised as citizens in this period, let alone as able to stand for parliament or vote) must not step with a sword. Yes, a throwback to English history. 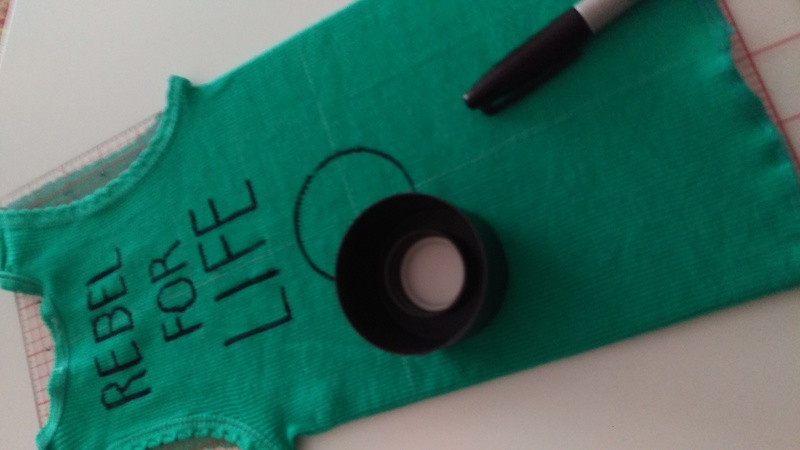 Then there was the preparation of a rebel outfit for a certain poster child, at the request of her mother. And then came the big day. Inspired by Scottish rebels, 13 of us who had trained and prepared for the role went on a tour of parliament and then declined to leave the lower chamber, where we formed our own citizens’ assembly and each delivered a speech about our fears for future generations if our governments do not begin to tell the truth and act on it by taking emergency level action on climate change and the ecological crisis. Here our police liaisons explain the situation to our charming and very informative guide. 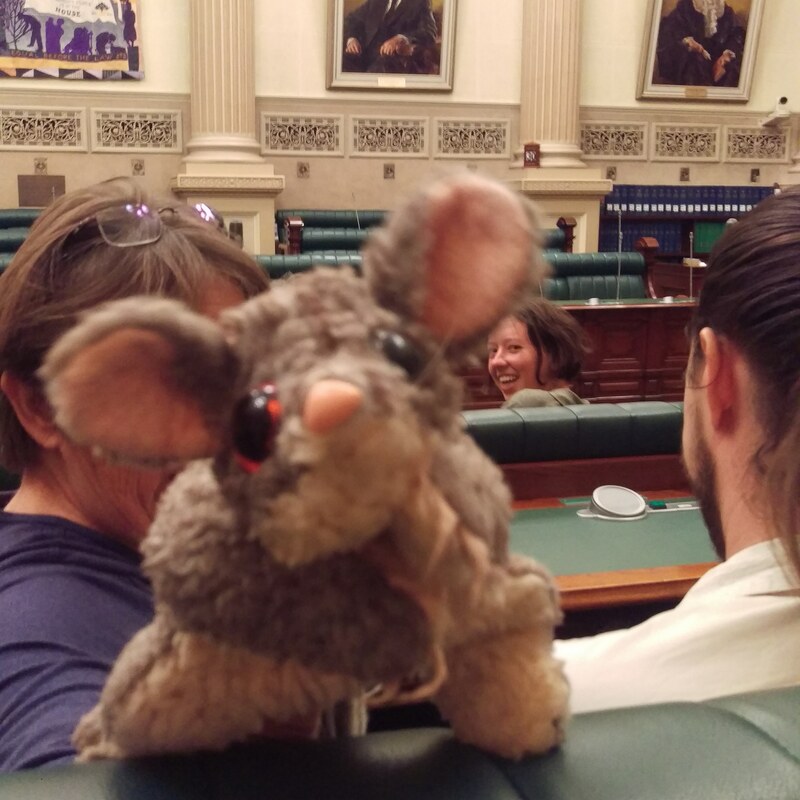 He was astounded that we would pass up the opportunity to see the upper house! Here one of us is on the phone to the Premier’s office. A lighthearted moment with a possum who survived two boys’ childhoods and told me “if we don’t get action on climate change, and soon, we’re all STUFFED” at which I had to point out I thought the possum was (just barely) stuffed already. I suggested rebels bring a pack of cards or their knitting just in case of a long wait. 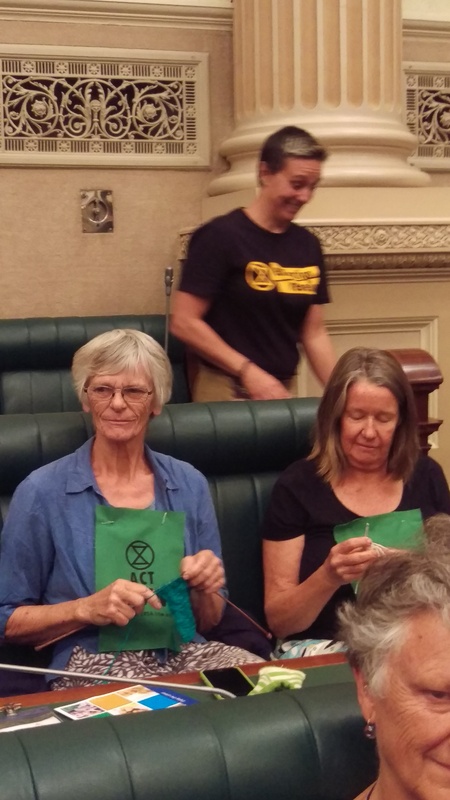 Then I left my knitting at home–oops–but others were better prepared! And then eventually we were, as the TV news put it, “forcibly removed” with our suffrage foremothers looking down on us. I think they would have understood. 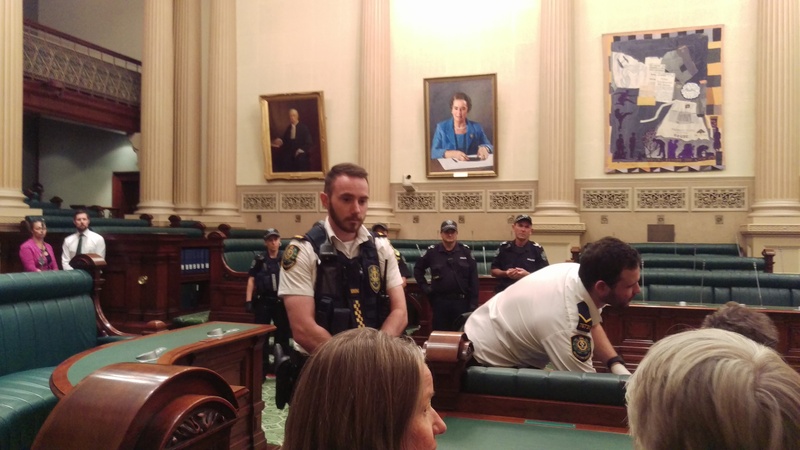 And Joyce Steele (in blue on the wall in the image below) the first female MP in the state, elected in the 1950s–she was looking down on us too. I have a soft spot for her, having encountered her reading Hansard. She spoke to the Bill that eventually decriminalised abortion in our state in 1975, the first time in the history of the state that a woman had been able to speak to this matter in parliament in the period since English criminal law was imposed over Indigenous law through colonisation. Though clearly not a big fan of abortion, Joyce Steele was equally clearly unable to remain silent. She had heard the terrible stories of the women in her electorate who had come to see her on this issue over her life as an MP, as well as being prepared to speak to the lack of sexuality education and access to contraception in her time. 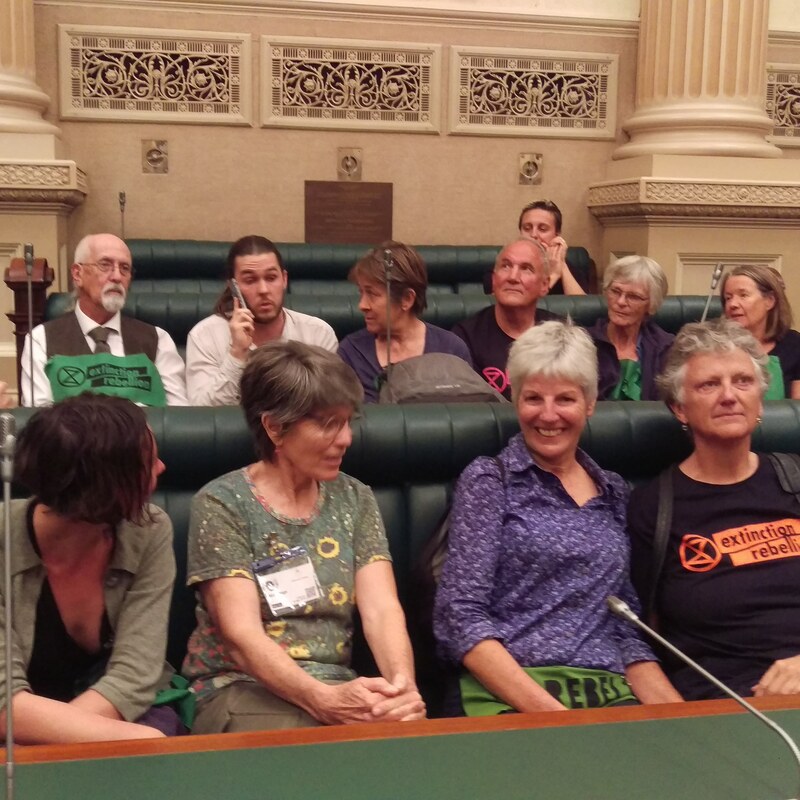 With Joyce looking down, we were removed from the chamber and taken out to the stairs where our fellow rebels and some media and my beloveds were waiting. And may others join us as a result. ABC TV coverage from 8.05 here. Local news here. More at xrsa.com.au.